White flat card with cupcakes and party hats on the left and right sides. Perfect for a child's birthday party! Same card can be used as the thank you note. 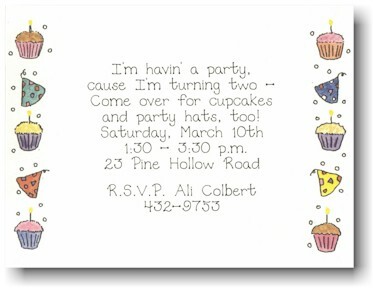 White flat card with cupcakes and party hats on the left and right sides.